Sharon and I are in the city of Fez for 3 days as part of our 2.5 week Overseas Adventure Travel trip to Morocco. Part of today was spent walking through the Jewish Quarter of Fez, which was a fascinating view of an ancient society. 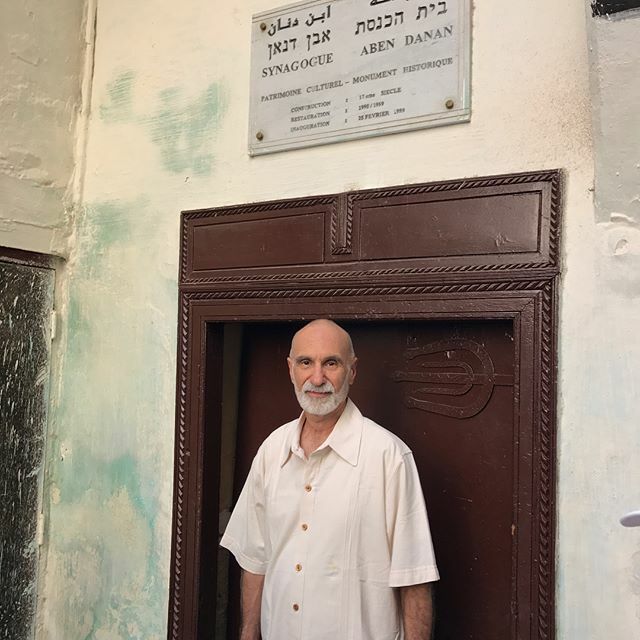 We visited one of the two remaining synagogues–Shabbat services are held in Fez on what seems to be an erratic schedule. We walked down a narrow stairwell to what used to be the mikvah, and climbed (past several occupied bedrooms) to the roof from where we could view the old Jewish cemetery.